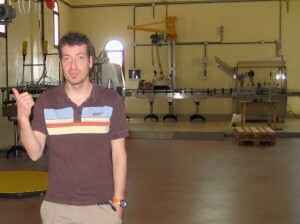 A tour of the bodegas of La Rioja had been on my list of romantic daytrips for awhile. But when A. and I got into specifics, we realized that only one of us could tipple liberally while the other would be the designated driver. Neither of us wanted to be the chaperone. Enter the Enobus to solve our problem. The Enobus is a semi-public bus service running from Bilbao and Vitoria to the main wine-making towns in Alava, a region of Basque Country that borders La Rioja. It leaves from the center of Bilbao at 8:30 and arrives to Laguardia by 10:00. The return bus is around 7:30 PM. Once you arrive to Laguardia, you have the option to get on another bus with a guide, or just use the original bus as transportation between towns all day long. We of course chose the DIY version. Our only company was a bachelor party that got off at lunch time and did not get back on until the end of the day, inebriated and costumed. The Enobus became our personal Enotaxi for most of the day. Here’s something important to know: most bodegas require advance reservations to take a tour. We did not know this. Our first stop was Elciego, with the multicolored Frank Gehry-designed Marqués de Riscal visitor center glinting in the sun. Through the intercom at a very imposing gate, we learned that little would be offered to us without an appointment; we could walk 3 kilometers around to the other side of the property to the information booth and they would perhaps give us a brochure. No matter. Who wants to drink wine at 10:30 in the morning anyway? We wandered around a bit with the locals in their Saturday morning routine of buying their bread and browsing bits and bobbles at the flea market, and then got back on the bus to Laguardia. 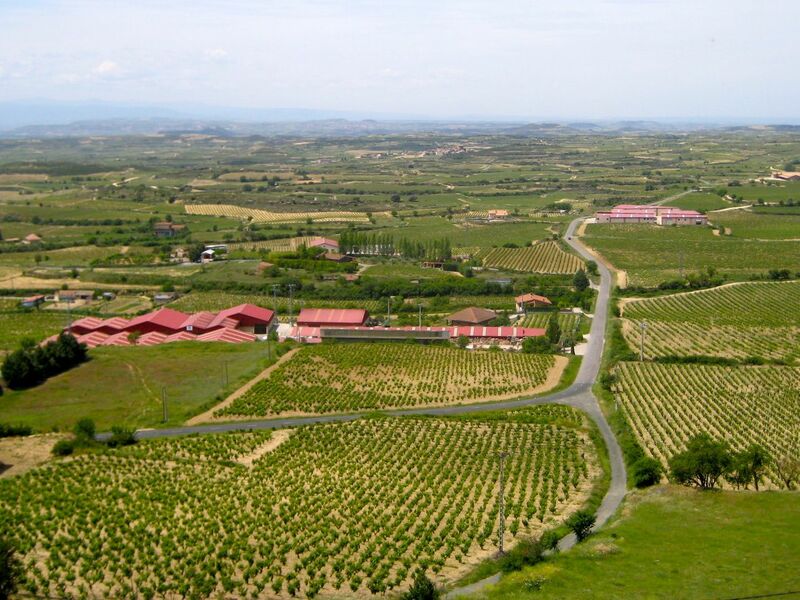 Laguardia is a walled hilltop town with spectacular views of the surrounding vineyards. Among its guidebook attractions are a castle that has been turned into a hotel and restaurant; the home of fabulist Samaniego that is now the Tourism Office; the Gothic Santa María de los Reyes church; and the town hall clock from which three figurines emerge at noon, 2, 5 and 8 to dance. But really its charm is in its sloping medieval streets, the sugary smell of fresh-baked sobao giving way to garlic and peppers and roasted meat as the morning turns into lunchtime. We had lunch al fresco in front of Santa María de los Reyes and napped off the accompanying bottle of local wine on a bench outside the city walls. Baños de Ebro…and a bodega! In the afternoon, we got off at Baños de Ebro, a sleepy one-street town with all of its bodegas shuttered. A. and I wandered off towards some fields to enjoy the view and lo and behold, at Dominio de Berzal a car was parked and the door was open! We caught Iñigo Berzal with his mouth full of lunch, but as luck would have it, he had just come back from a business trip to New York and was excited to have a New Yorker on his doorstep (if slightly disappointed that I am not from Queens). He agreed to give us an impromptu tour. Dominio de Berzal is a family business. 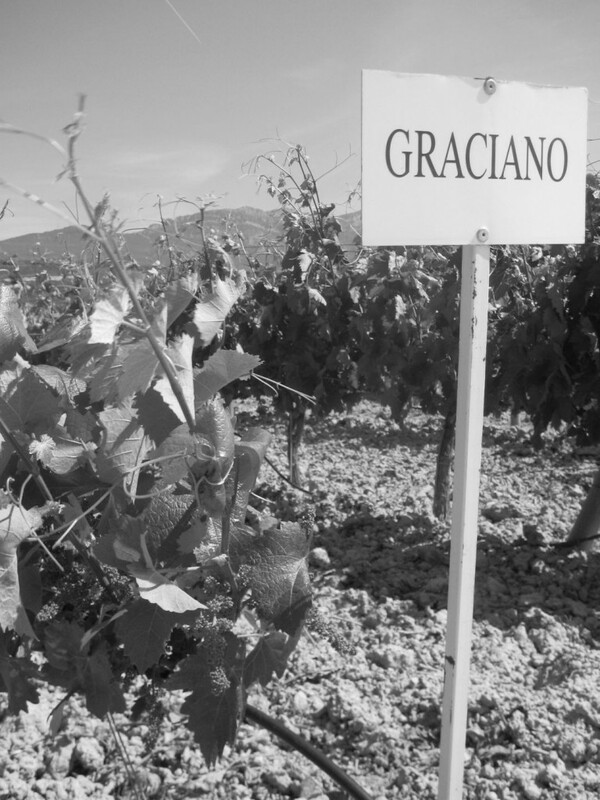 Iñigo’s father started cultivating grapes in the late 1950s, selling his crop to local cellars, and started his own label in 1980. They have vineyards in three different parts of Alava, mitigating the risk of any local climate or critter issue destroying a given year’s crop. 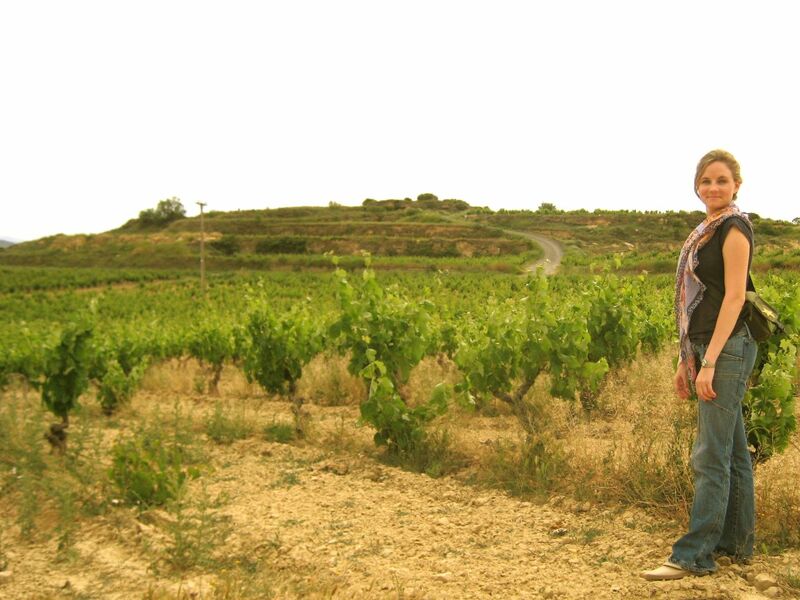 They work mainly with tempranillo for their crianza and selection wines, and viura for white. 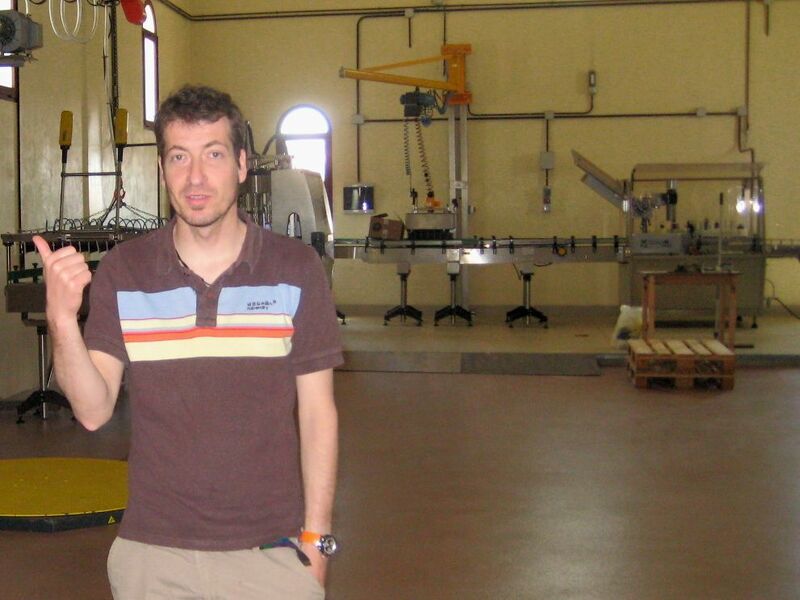 Iñigo explained the carbonic maceration process and showed us the oak barrels for aging. They use the traditional Bordeaux barrels of 225 liters. A. wondered aloud why they use Bordeaux-size barrels, and it turns out La Rioja took off as a wine-making region in the 19th century when a phylloxera epidemic in Bordeaux sent many French cellars in search of a new home. 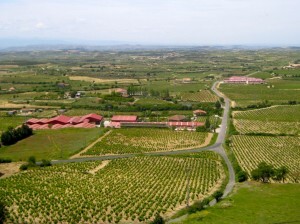 Most of La Rioja’s techniques have some roots in Bordeaux. Iñigo also clarified the whole “oaky” flavor thing for us. The wine doesn’t take on oak flavor from being in contact with the wood; the idea is to get oxygen into the wine and the oxygen brings the oak flavor with it. (If it was not already apparent, we are not even amateur oenologists. Some day I will learn the proper use of flavor, nose, note, etc, but not today.) The barrel inventory has to be replaced every few years because sugar crystallizes all along the inside and the oxygen can’t get in. After trying some of Iñigo’s wares and buying a couple of bottles, we got back on the bus, satisfied that we had at last seen the inside of a bodega. Our Enotaxi-driver was at this point tired of being at our whimsy and suggested Labastida be our last stop while he went to get the other passengers in Laguardia to return to Bilbao. The streets of Labastida ascend, so up we went, to the Santo Cristo chapel. We followed a bit of a path behind the chapel and within five minutes, the majesty of La Rioja unfolded on all sides. There were sun-drenched vineyards in every direction. The path was lined with lavender and rosemary, junipers, winged life of all sorts buzzing and chirping in their midst. The feeling of being completely surrounded by life was overwhelming and an incredible way to end the day. Pros: Enobus schedule gives a lot of freedom and flexibility. Enobus means nobody skips the party and nobody gets arrested. Update from reader feedback: Please note that the Enobus only runs on weekends! Thanks for your post. It was very helpful. We are a group of 8 adults that want to take the eno bus in Sept from Bilbao. Where did you buy your tickests for the bus and did you have to buy them ahead of time? Is it a problem if we do not speak Spansh? Hi Patti, thanks for stopping by and sorry for the delayed reply – we’ve been without Internet for the past 10 days. We bought our tickets when we got on the bus. According to the Enobus website in Spanish you can also reserve in advance through STI Pais Vasco, http://www.stipaisvasco.com/en/ but there doesn’t seem to be a physical address in Bilbao, just an email servitur-at-stipaisvasco.com. At the bigger bodegas like Marques de Riscal you shouldn’t have any problem without Spanish – just make sure to reserve in advance!